The modern engineering world is one of immense computing skill and seemingly impossible projects undertaken with cutting edge technology. Looking at modern engineering projects it seems hard to believe that almost all engineering can trace its roots back to a man born in 287 years BC. 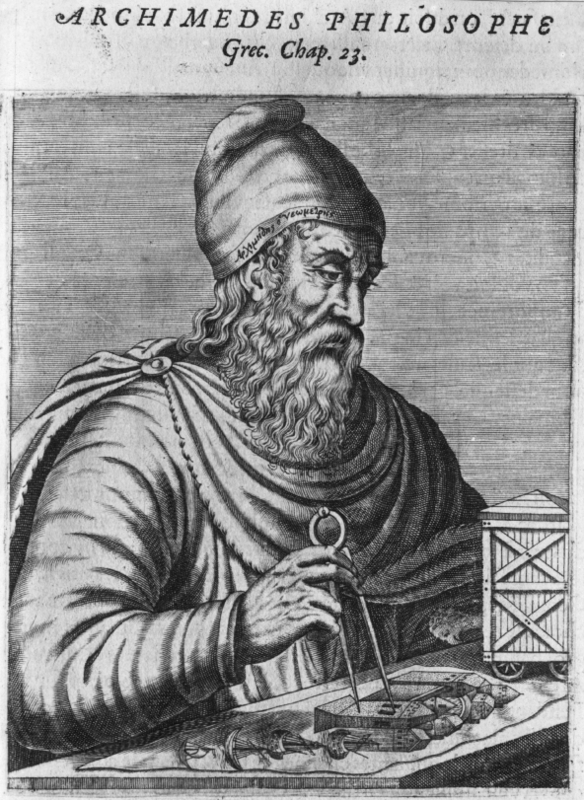 We are of course talking about Archimedes, one of the most recognised names in history, but who was he? Born in Syracuse, Archimedes was the son of an astronomer but other than this, little is known about the life of this incredible man. For example, it is not known if he was married or had any children; what we do know about him is the incredible amount of inventions and theories that he created during his life. Unfortunately we do know that his life was cut short by a Roman soldier who killed Archimedes during the siege of Syracuse. Who knows what else could have been achieved were he to have lived longer? As well as these and many more, it is the principle of buoyancy that Archimedes is best known for, the principle that often carries his name to this day. Put simply this theory dictates that the buoyant force exerted on an object when partially or wholly submerged in water is equivalent to the weight of the water displaced. This means that in order for a ship of 100 tons to float, the portion of the ship below water would need to displace at least 100 tons of water, any less than this and the vessel would sink. With this principle, modern engineers are able to build ships whose scale is scarcely believable, which float as easily as a tiny sailing boat. Here at European Springs we are on the cutting edge of engineering technology and are constantly looking for the latest development. In spite of this we can still trace our existence to Archimedes and those incredible ancient engineers that led the way for R. Tradwell to patent the first coil spring in 1763. For more information on what our technology can do for you, simply contact us today and we will be more than happy to help.